Limited access to direct sunlight, as a consequence of long-hours in the office, can lead to a variety of health deficiencies. This light therapy lamp can make up for some of these deficiencies and can simulate natural sunlight. This lamp helps executives reset circadian rhythm. Common health issues such as Seasonal Affective Disorder, depression, jet lag, sleeplessness and fatigue can be improved through this light simulation. Lamps are calibrated to have the most effective light color, temperature, brightness and size of spectrum. 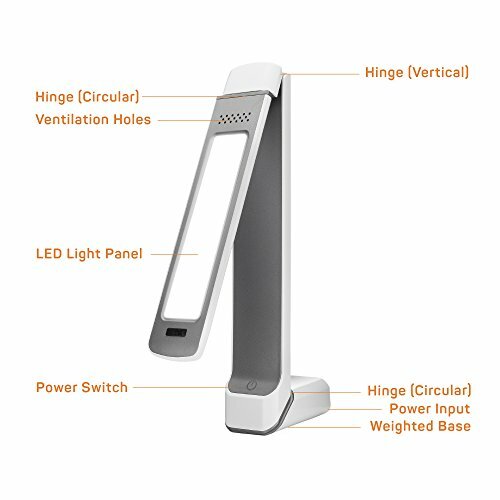 The light therapy lamp offers 10,000 Lux Brightness, providing the maximum recommended dose for light therapy, 5500K Full-spectrum light, meaning that this lamp offers the near-sunlight quality, and 50,000-hour lifespan from special LED lights, so you will never have to replace light bulbs again! Combining the latest LED features, USB technology, and a contemporary model, this desk lamp is elegant and discreet. 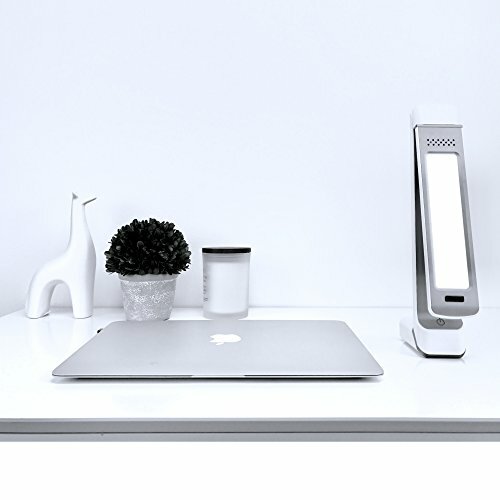 The Circadian Optics Light Therapy Lamp is the only lamp of its kind that is backed by research from the NIH, Harvard, and other credible sources, all of which state this light makes up for the deficiencies of sunlight that the average person gets. Light therapy is recommended by Harvard Medical School and the Mayo Clinic, to treat seasonal disorders and restore balance. Dr. Michael Terman, Professor of Clinical Psychology at Columbia University, stated that light therapy is superior to Prozac for the treatment of non-seasonal depression. Dr. Ritsaert Lieverse, psychiatrist at VU University Medical Center Amsterdam, conducted a small study of less than 90 patients beyond the age of sixty. This study found the lamp to be just as effective as antidepressants in terms of boosting moods. Don’t look directly into the light! Rebalance your circadian rhythms now.